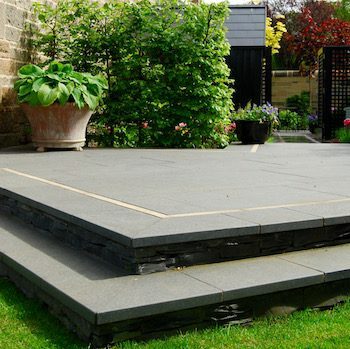 Paving is the most commonly used finished surface in landscaped gardens. Paving, often called hard landscaping, must be properly laid with the correct foundations, carefully selected materials, a run on it (to allow rain water to drain off and away from buildings) and the appropriate grouting or pointing to make the patio or path last as long as possible. This is what good landscaping is all about. A well laid patio will last for years, will have very few puddles on it and, aside from a regular sweep with a brush should be very low maintenance. 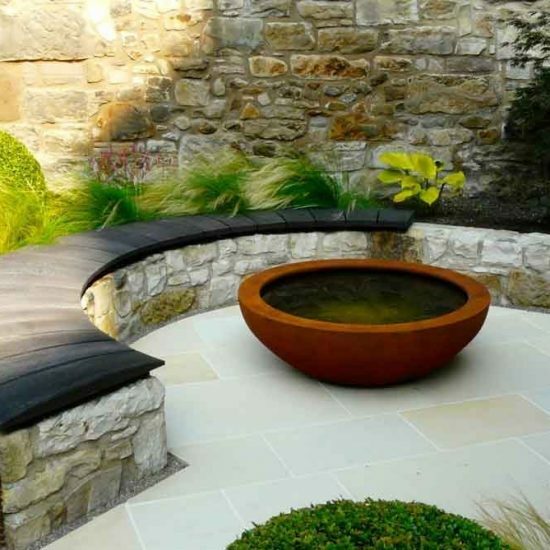 We can advise you on the selection of the correct materials for the site and purpose of the patio, path or hard surface and will bring samples of stone, porcelain or concrete products to help you choose. 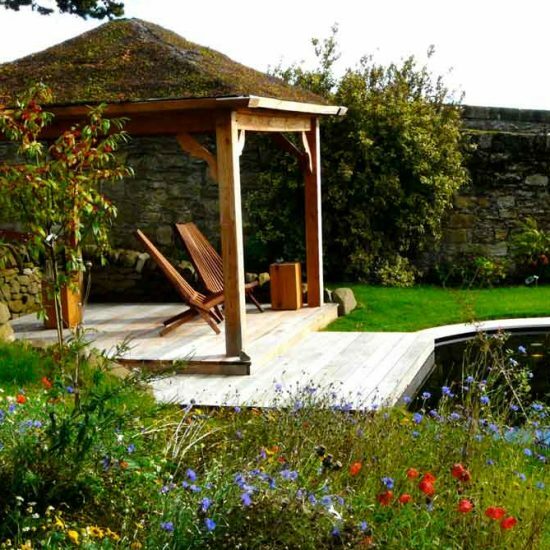 We have a very broad portfolio of award-winning gardens which we have built up over the years and so can illustrate tried and tested options. 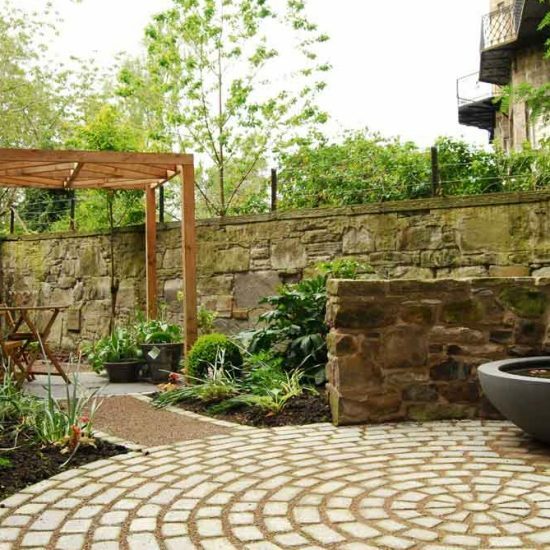 We work with natural stone setts to create attractive features such as sett circles or edgings to paths or driveways. Horonizing is another style of surface we have used and is based on the traditional use of stone off-cuts often used in Edinburgh’s New Town as an edging to the cobbled streets. We have adapted this as an unusual finishing detail in paving. Gravel is also a widely used, cost efficient and popular surface for paths and driveways. However, it comes with its own set of problems. In some cases, when laid too deep or when the wrong kind of rounded gravel is used, it can feel like you are wading through sand. 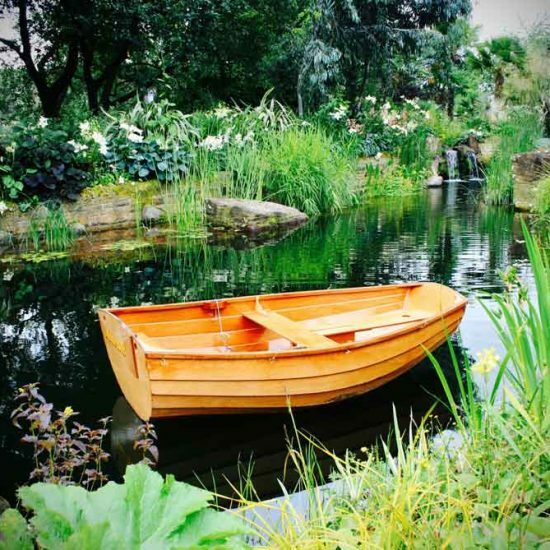 Equally, it can be kicked onto lawns or out into the street which increases maintenance. We can advise on solutions to these problems and can install gravel stabilisation systems which create surfaces which are as firm and easy to walk on as paving but have all the drainage and aesthetic benefits of gravel.